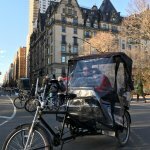 Get to know Central Park, the most-visited urban park in the United States, on this private pedicab tour. Choose from one of six different tours, from 25 minutes to 2.5 hours long. Then take a leisurely ride around this iconic New York City landmark, exploring its many bridges, fountains, and statues while learning about its history and design from the experienced driver/guide. See the spots featured in more than 300 different films since 1908, and discover interesting details and anecdotes about the park. New York City’s Central Park is best known as the most visited urban park in the United States and one of the most filmed locations in the world. 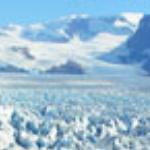 But it’s the natural attractions and their beauty that make it really special. Central Park offers hundreds of special highlights for individuals and families across 843 acres. From green meadows, sprawling waters, gardens and unique bridges to performance centers, educational facilities and classical architecture, the park’s greatest attraction is its picturesque beauty. Exploring the park with an expert driver in a pedicab is a great way to see it all. Choose from six options to see the park at leisure — from a basic 25-minute ride to a 2.5-hour tour of the entire park. Some of the highlights, depending on the option selected, include the romantic, Victorian Bow Bridge; the Romanesque and Gothic Belvedere Castle, the Bethesda Terrace and Fountain overlooking the Lake; the 2.5-acre Strawberry Fields, paying tribute to the late Beatle John Lennon; the Mall and Literary Walk, with one of the largest and last remaining stands of American Elm trees in North America and much more. Ilya taught us a lot about Central Park! Ilya gave us a truly memorable Central Park tour! The buggy and blanket kept us warm and Ilya was a knowledgeable and friendly guide. I highly recommend him! Get quick answers from Central Park Walk-Free Guided Tour staff and past visitors.